Oby's Blog: Photoshop Fun!!!! 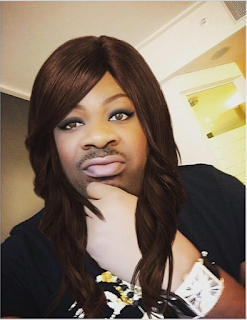 Do you Think Don Jazzy is a Beautiful Woman? Photoshop Fun!!!! Do you Think Don Jazzy is a Beautiful Woman? While Caitlyn Jenner is making waves by going through surgery to become a woman, Mavin CEO Don Jazzy simply employed the use of Photoshop. We just had to ask – do you think he makes a beautiful woman?